Dr. Quaranta (pronounced “Cwore-on-tuh”) is the owner and founder of Sonoran Desert Eye Center. He was born in Chicago in 1965. He was raised in Tucson, but attended high school in Palos Hills, Illinois (southwest suburb of Chicago). His introduction to eye care began in the early 1980’s when he worked as an optician at Montgomery Ward Optical in Orland Park, IL. 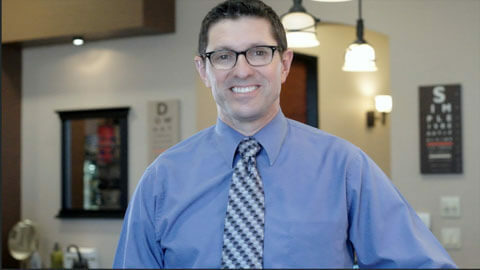 Dr. Quaranta received his Bachelor of Science Degree from Brigham Young University in 1992 and his Doctor of Optometry Degree from the University of Houston College of Optometry in 1996. He completed his training at the Hermann Eye Hospital in Houston, Texas and at Luke Air Force Base Hospital in Litchfield Park, Arizona. He practiced at Southwestern Eye Center between 1996 and 2010, managing patients pre- and post-operatively, monitoring diabetic retinopathy, treating glaucoma and multiple other ocular diseases and visual conditions. He is currently also on the clinical staff at Chandler Eye Center, working alongside Bob Davidson, MD. He has specialized training in the fitting of scleral contact lenses which allows him to treat patients with more advanced corneal disease. He is certified by the National Board of Examiners in Optometry in the Treatment and Management of Ocular Disease and is licensed by the Arizona Board of Optometry. He is a member of the American and Arizona Optometric Associations, The Scleral Lens Education Society, and the Chandler Chamber of Commerce. His areas of special clinical interest include the diagnosis and management of glaucoma, monitoring diabetic retinopathy, and treating the moderate to severe dry eye patient. He also enjoys helping people obtain and maintain the best vision possible, using glasses, contact lenses, or refractive surgery. Dr. Quaranta’s strengths include his friendly enjoyment of people, his willingness to take the time to understand your expectations and needs, and his years of experience providing intense primary and secondary eye care. For over 19 years he has worked closely with eye surgeons of various specialties, including cataract, cornea, glaucoma, retina, and oculoplastics. He enjoys keeping up with the latest solutions to eye problems that will bring people greatest happiness. Dr. Quaranta and his wife, Tiffany, live in Chandler and have four daughters, three that are married and one in college. They also have a grandson. He enjoys motorcycling, hiking, guitar, scuba diving, and being involved in the local community. Although he is Italian by ancestry, he speaks Spanish and Portuguese due to his years of volunteer work in Brazil and history of working with the Hispanic community in Arizona. Dr. Stott was born and raised in the city of Lancaster, CA in northern Los Angeles County. He completed his Bachelor’s degree in Business Management from Brigham Young University, and went on to receive his Doctorate of Optometry degree from the Southern College of Optometry in Memphis, TN. He completed his optometric training at The Eye Center (the largest clinic of its kind in North America), Family Vision Care, and the Memphis Veteran’s Association Medical Center. Prior to joining Sonoran Desert Eye Center, Dr. Stott was practicing primary and secondary eye care in his wife’s hometown of Coeur d’Alene, Idaho. He gained a reputation for excellence in patient care from not only patients, but from his own staff and other eye care practitioners as well. Dr. Stott is a versitile practitioner who is experienced and skilled in providing routine vision and medical eye care. He is now licensed by the Arizona Board of Optometry. He is certified by the National Board of Examiners in Optometry in the Treatment and Management of Ocular Disease. He is trained in the management of chronic eye disease such as Glaucoma, Macular Degeneration, Diabetic retinopathy, Dry Eye, and more. He works closely with area surgeons to provide pre- and post-operative eye care for cataract, glaucoma, and corneal surgery. Additionally, he is skilled in providing treatment for acute eye problems such as foreign bodies, infections, injuries, red eyes, and more. Dr. Stott’s special area of interest is treating conditions of the anterior segment (front of the eye). 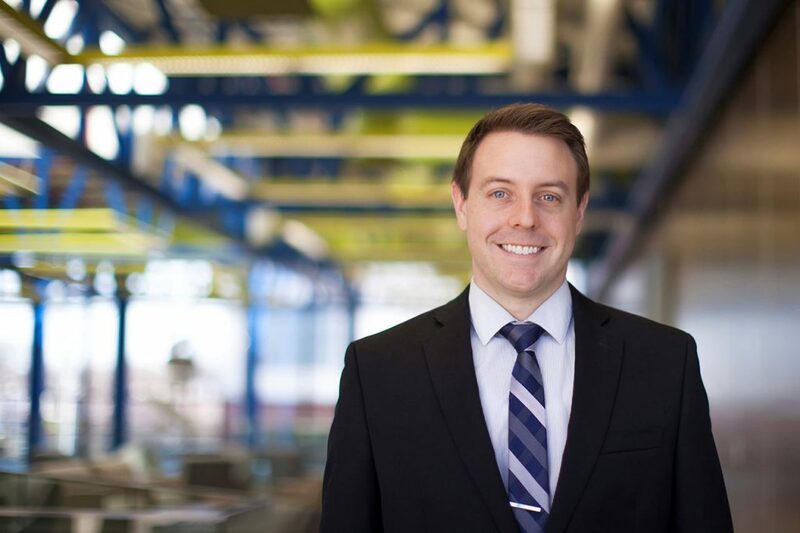 His goal is to accurately diagnose and find appropriate treatment options that will address patient concerns and lead to improved vision and improved quality of life. Outside of the office, Dr. Stott enjoys spending time with his wife Emily and their two children. He loves to get outdoors to exercise, play sports, hike, swim, and ride dirtbikes.